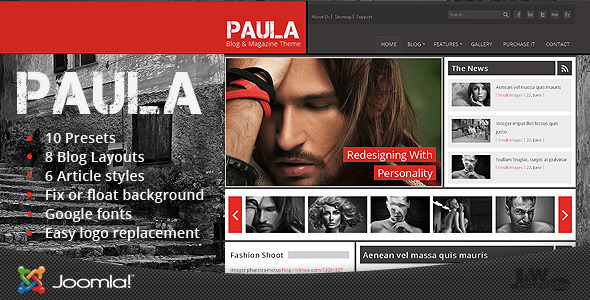 Paula is a flexible Joomla! Theme built on Gantry framework from J&W Templates team. It´s suitable for beginners as well as for advanced developers. Get inspired in our demo – learn how to set your blog and layout for the best result. We have eight possible blog layouts and six article styles avaible.